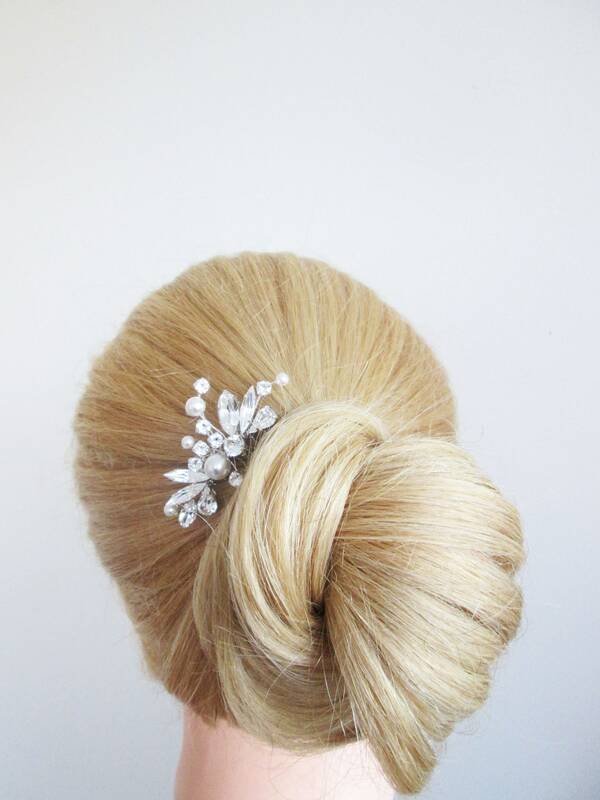 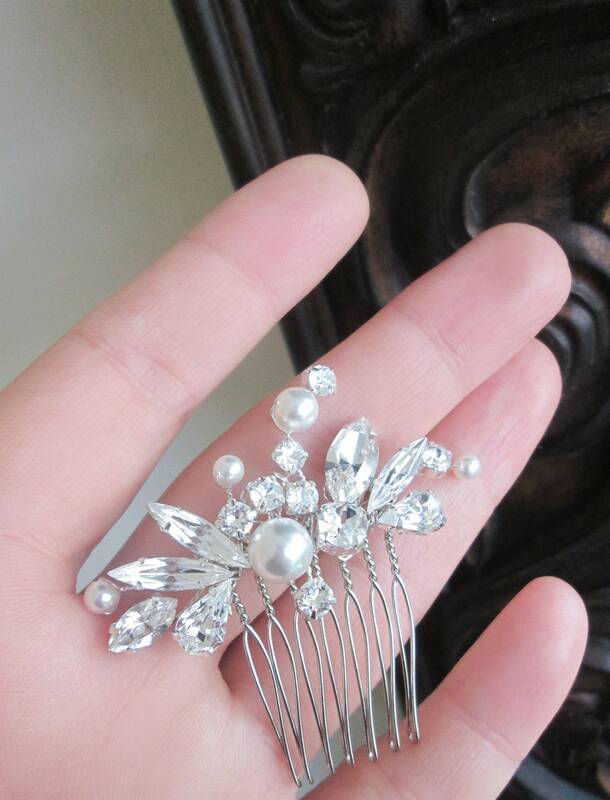 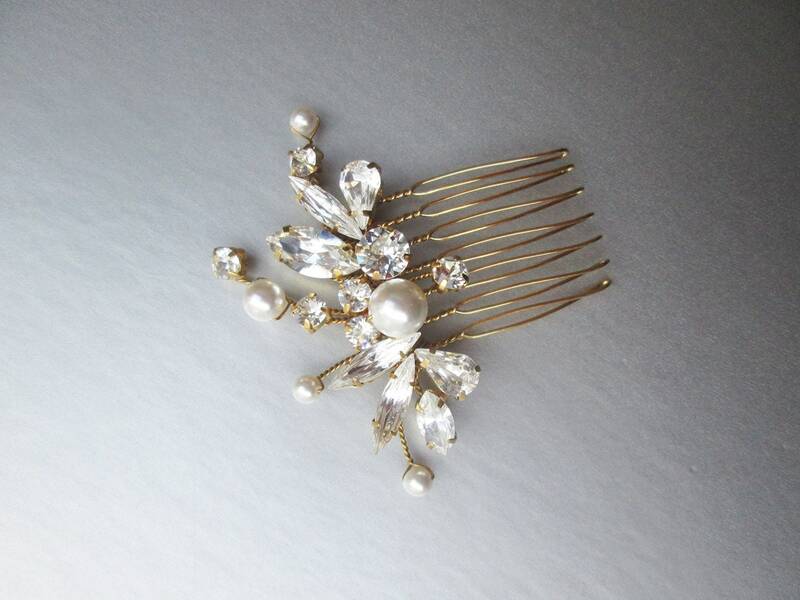 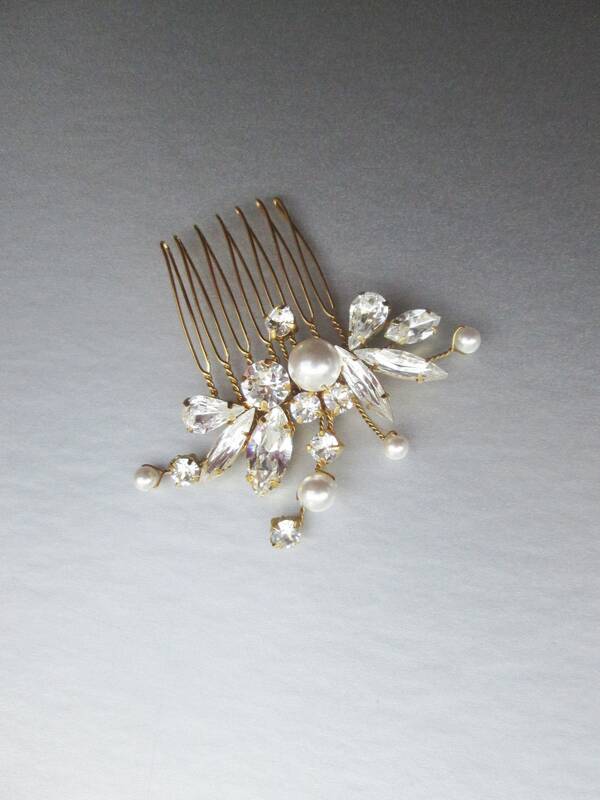 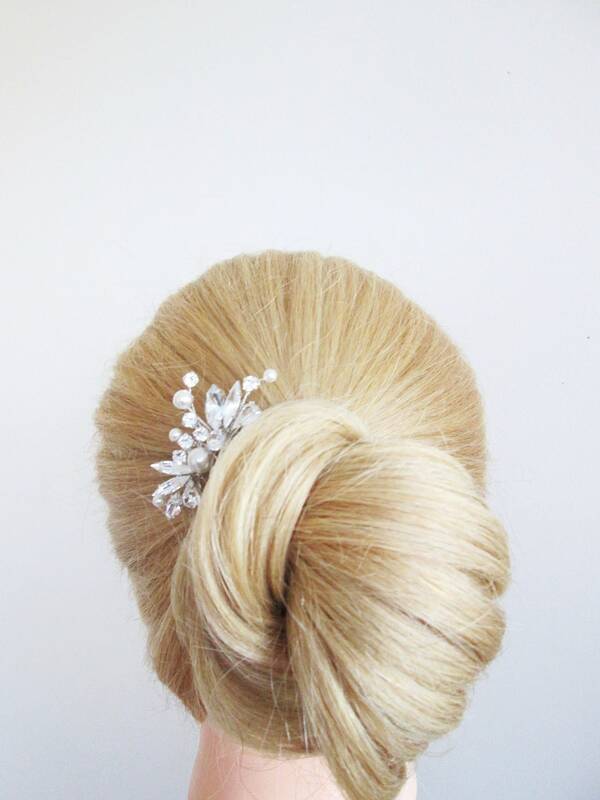 This sparkly floral hair comb can be used with a variety of hair styles. 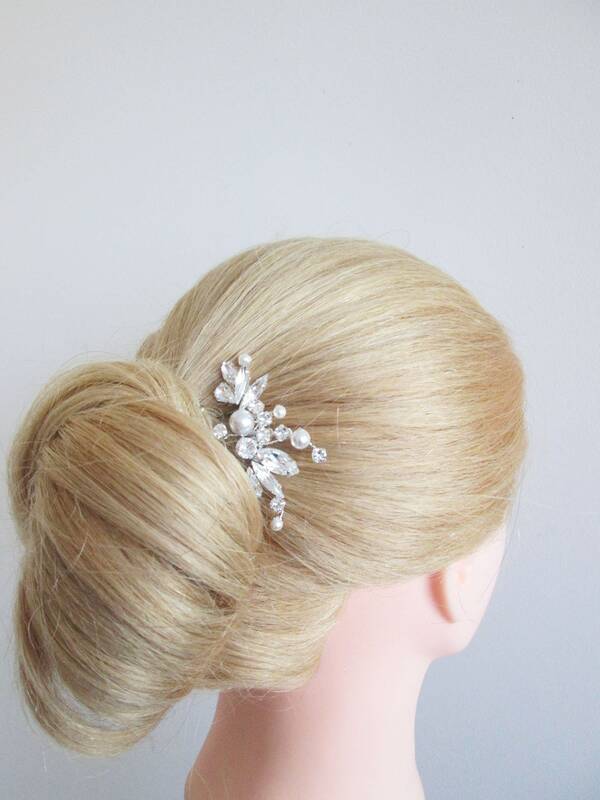 Made with Swarovski crystals and Swarovski pearls. 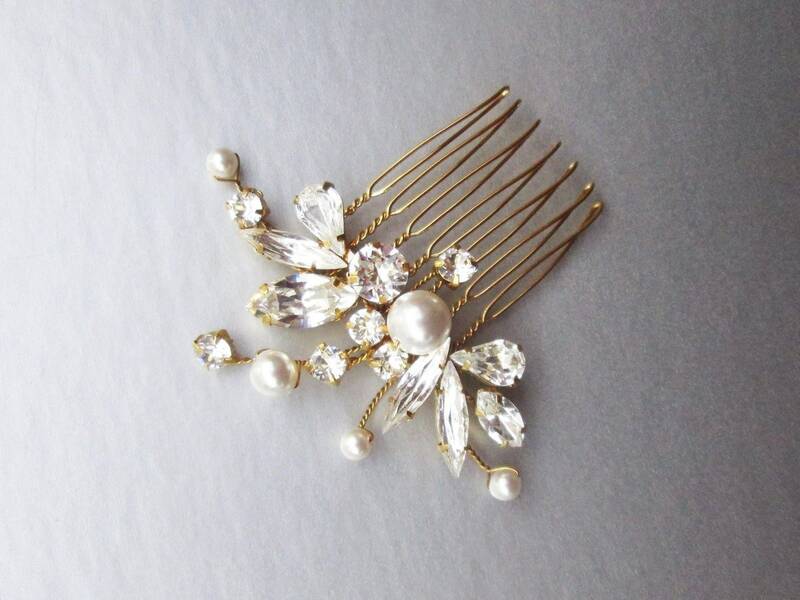 Very light and easy to use. 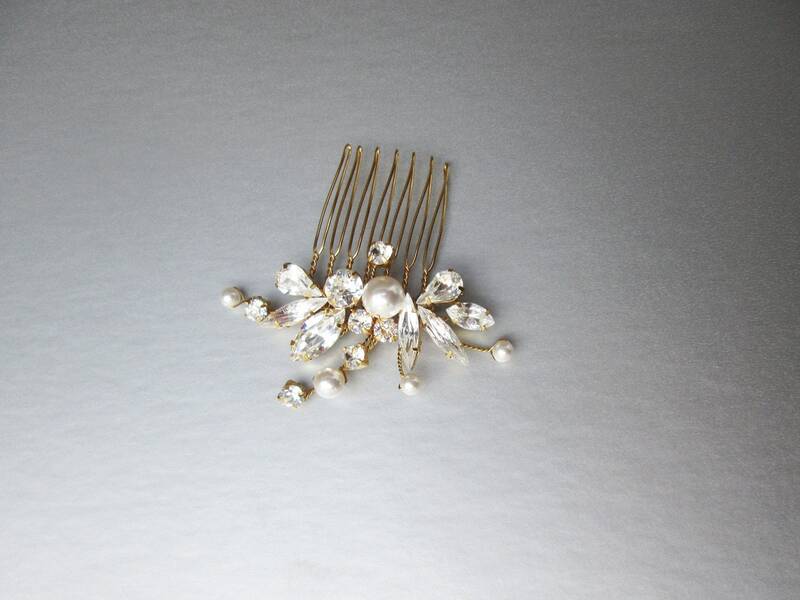 This hair comb measures about 2 1/4" long and about 1 1/4" wide at the widest point. 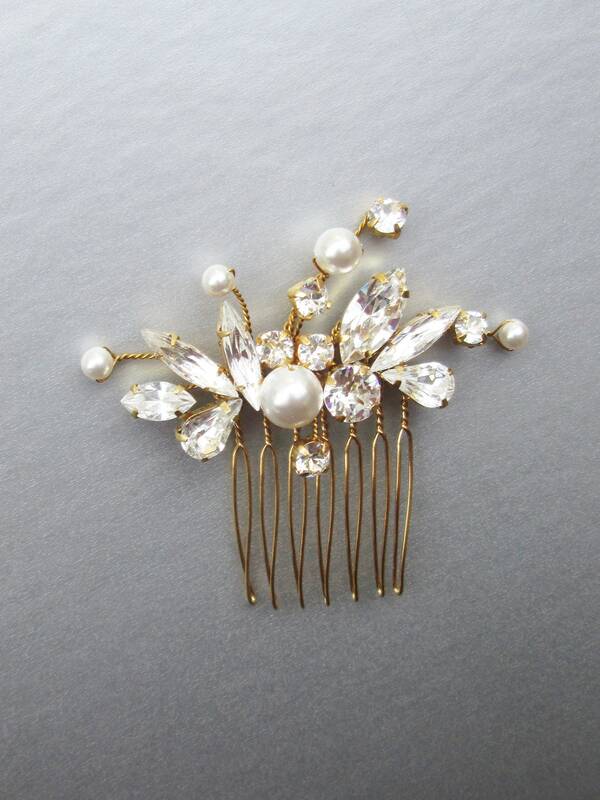 Available in gold, silver and rose gold finish and with white or ivory pearls. 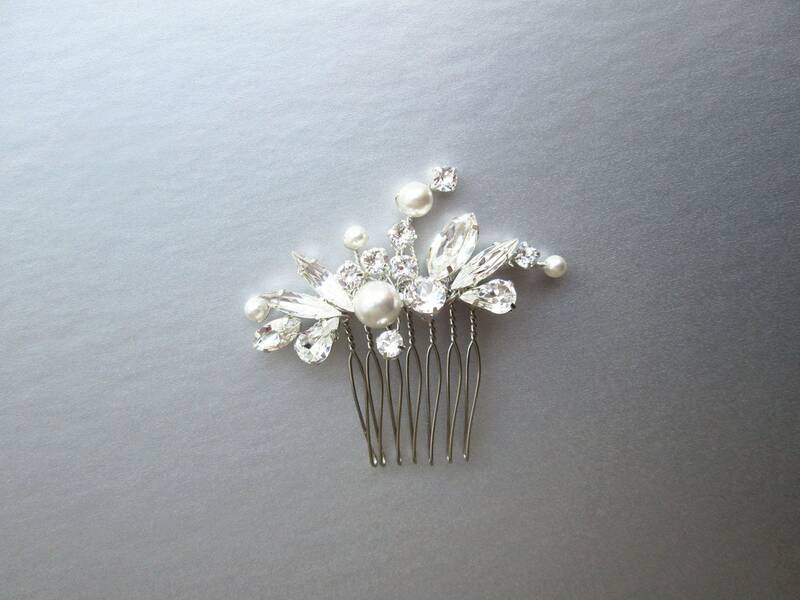 Shown in the photos with white in silver finish with white pearls.